DICAPRIO’S ECO ISLAND…CAN WE CASTAWAY? Leonardo DiCaprio purchased a massive rock! No, we aren’t talking a symbolic gem for his honey, but rather a massive 104 acres off of the coast of Belize. DiCaprio made the purchase of the island, Blackadore Caye, 10 years ago for $1.75 million dollars, but has held off on construction until he found the right developer to create the eco resort of his dreams. According to the NY Times, after a decade of patience, DiCaprio has brought Restorative Islands L.L.C. on to do the job, which is expected to be ready for guests in 2018. His idea for the property is to develop it in a way that is not just sustainable, but actually healing for the surrounding environment. The project is being called, “Blackadore Caye, a Restorative Island.” One restorative effort DiCaprio is implementing is the building of an artificial reef to improve the breeding of local marine life. Blockader Caye has a history of being overfished, and DiCaprio hopes to aid the growth of wild populations. 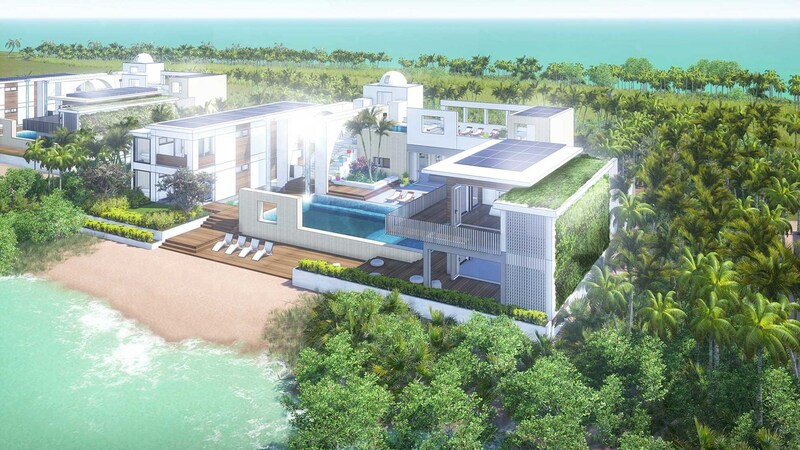 The resort is going to be constructed on the forefront of sustainability and luxury. Its development will be held to the stringent standard of the Living Building Challenge, while infusing extravagant details comparable to those dreamt up in the world of “Tomorrowland.” From adjustable lighting to complement one’s circadian rhythms, to energy self-sufficiency, this island is everything one could dream of for an eco-lux destination. Guests can vacation in one of the resort’s 60 villas, and those wishing never to leave will have 48 estate homes to choose from, with price tags ranging from $5 to 50 million. We have seen eco resorts, hotels, and spas–but whole islands purchased by a talented, handsome actor looking to improve the world? This could be the start of something wonderful.